For once I had decent hair on a night out - this is definitely one for the books. 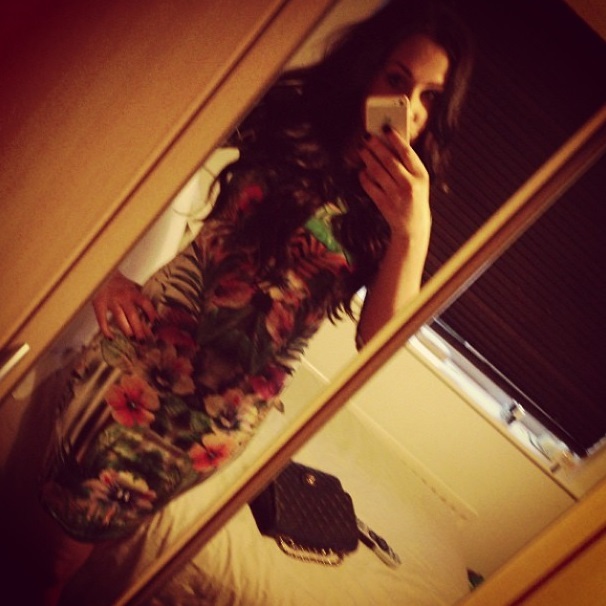 This outfit was taken back in end June/beginning of July and the midi dress is currently in the Topshop sale. Unlike the majority of Topshop's dress material this dress is made of a very weird elastic which is very see through the moment its stretched, I went up a size to prevent anyone from being able to see what I was wearing underneath. The print on this dress is really unusual and completely out of my comfort zone however I don't think it looks tacky. Thing is with this material (the only positive) is the fact that you're not roasting in bars and it keeps you quite cool. Teamed with simple black heels and my trusty Chanel - jobs a good un.